Custom suits are one of the benefits of living in Asia, or at least they should be. 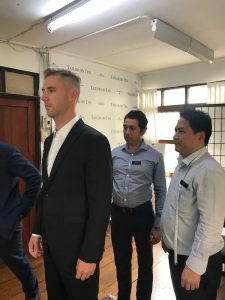 Through my travels, I often hear about people getting customized suits tailored in Vietnam, India and, my adopted home, Thailand. 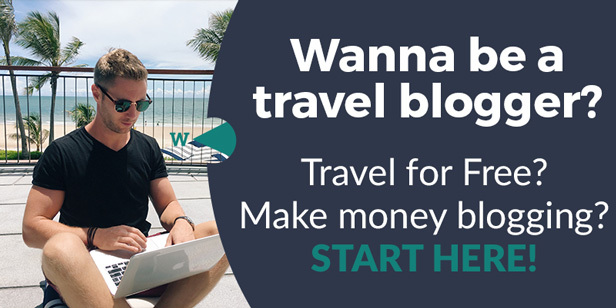 A lot of you guys know my story, I started with nothing, and then through blogging and digital media, I managed to visit every country in the world and become a millionaire in the process. It’s been a hell of a ride, 10 years in total but since I’ve made more money, I was still stuck in flipflops and backpacks. Admittedly, I love that but I’m now in my 30s and it was time to own a suit. Every person needs a suit! 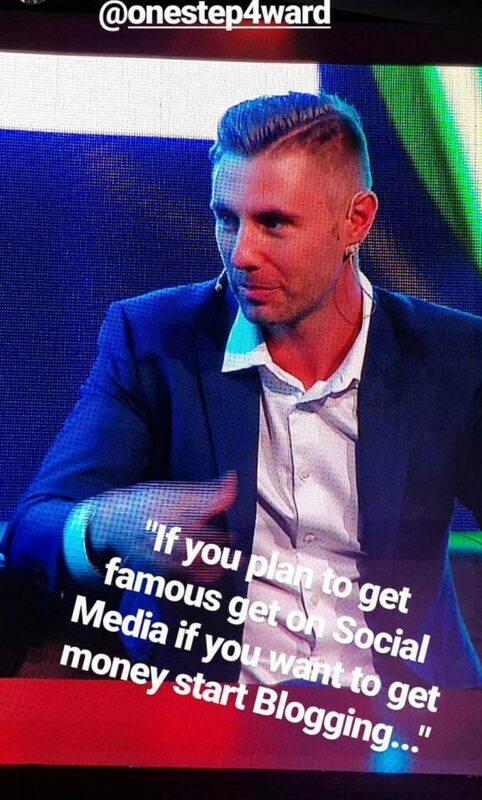 I’ve been doing more public speaking at conferences, corporate speaking for businesses, meetings with the EU etc, and shorts and flipflops don’t quite cut it there. Besides, now I know from experience, it feels pretty awesome wearing a bespoke suit. 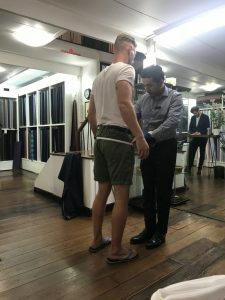 So I was on a mission to find The Best Tailor in Bangkok. So it was time. I wanted my first custom suit. 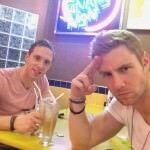 Bangkok was the city to do it. But tailors here in Bangkok are dime a dozen. There are literally hundreds of them. 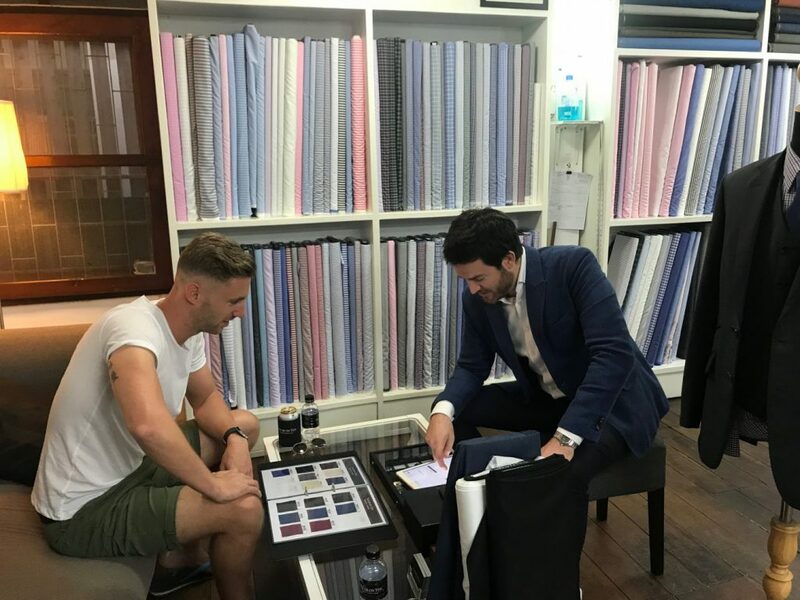 Once I’ve committed to something, I want the best so the research for The Best Tailor in Bangkok began. 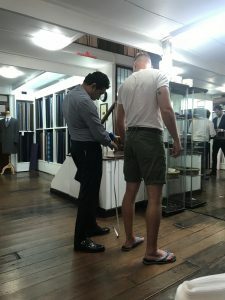 If you live in Bangkok, or if you’ve visited Thailand, you will have seen pushy Nepalese and Indian guys stopping tourists and selling them cheap ‘bespoke’ suits. 8 hours, $199. Boom. Great right? Wrong. That’s exactly what I didn’t want (and I’d recommend you guys steer clear too). Wrapping a tape measure around you and churning something out in 1 day doesn’t qualify as a bespoke suit. To be perfectly honest, I wouldn’t have known that until recently too, but now I do. Half these guys outsource to the same generic factory and they pump out tweaked suits on demand. So I researched, and I researched about The Best Tailor in Bangkok. 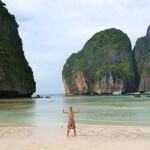 I spoke to my successful expat friends here in Bangkok and literally, one name came up every single time. Tailor on Ten. A small bespoke tailors in the city centre, but down a quiet street, almost appointment only (although at a push you could turn up and wait). As it turns out, Tailor on Ten is foreign owned, which is a rare thing in Asia. The owner is a Canadian guy called Ben, a great guy actually, and it was a huge perk to be able to call the office, set up my first meeting, explain what I want, what I need, what I know and don’t know, to a fellow Westerner, and in fluent English. My Thai is actually pretty good, but when you’re spending money, or doing business, doing it in your mother tongue is a much better idea! So I did just that, I explained briefly what I need over the phone, and made an appointment for a few days later. And so the process begun. Once you get to the end of the Soi, you’ll see it. There’s a sign outside, and you’re good to go. 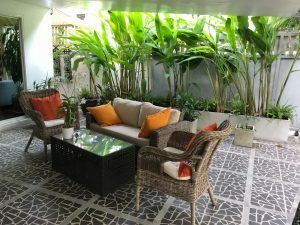 You’ll be welcomed in, offered tea/coffee/cold beer (all complimentary) while you wait for your tailor to attend to you. Normally your appointment will be spot on time, which was the case with each of my fittings, but if not sit back and enjoy your beer. I wasn’t sure what to expect. I don’t come from a background where I ever wore a suit. And I only had ever owned one suit in my life, which was worn maybe 3 times, an ill-fitting $150 thing from something not much more than a supermarket. 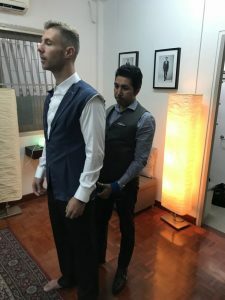 Thankfully Ben, the owner, was managing my first fitting so we sat down and had a long, long chat about what options were available and how it would all work. Initially, I had planned to get one suit made, but if you’re going to do something once, do it right, so I settled on 2. One suit for more sombre, serious affairs, a sensible black suit. One more modern, tight fitting suit, high quality material, funky linings and a modern cut. I also signed up for a tie, a pocket square and a tailored white shirt. Here’s where the business starts! First of all, you discuss prices. Your budget. 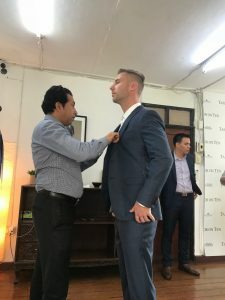 Suits here can start around 15,500THB ($500ish), and can go all the way to 61,000THB (just shy of $2kUSD) and beyond depending on how luxurious you want your fabrics. I decided on one of the cheaper fabrics for my black suit, and then something around $1,000 for the fabric of my (hopefully) gorgeous new main suit. The shirts then range from 2200THB ($70) to 5000THB ($160), my plain white fitted shirt is the best shirt I’ve ever worn, delighted with it. The tailor spends as long as you need. Discussing where the fabric has been imported from, what colours are traditionally worn with what events, pretty much everything I didn’t understand was laid out simply. Exactly what I needed. You tell them your approximate budget, and they show what is available within that. And there is A LOT of choice! There are no salesmen here, just tailors, so never did I feel I was being pushed or upsold, which is a huge help. After the fabric has been chosen then you sit down and go through how you want the suit to be. Now I had no idea there were so many options on a bespoke suit. Wow! 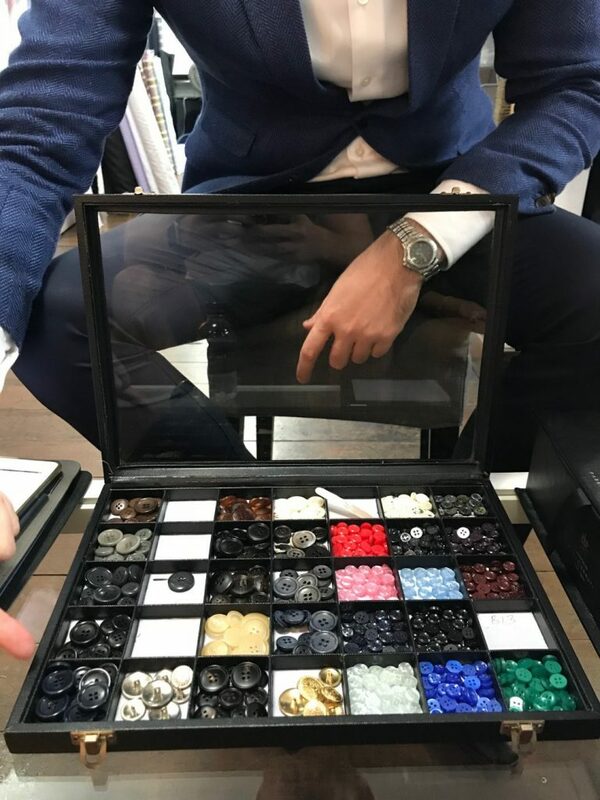 From the shape of the cuffs, lapels, folds, lining, initials, length, depth, breadth, how many cufflinks, what type, shape of the holes for your buttons, the colour/texture/shape of the threads. It’s actually crazy, this was turning out to be a brilliant experience, and quite a learning curve too. Ben walked me through it all. I was upfront and honest that I was out of my depth and he explained everything, every little detail, amazing service, honestly. 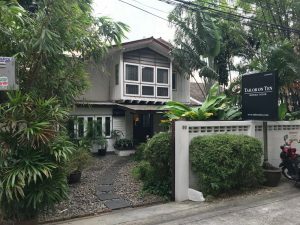 The Best Tailor in Bangkok? Now I was starting to get it. After that, all your preferences are recorded on their tailor-made app (see what I did there?) so you can always check what you’ve ordered, and easily order additional stuff in the future, and then the first measurements begin. The first fitting is what I assumed the ENTIRE process would be. Legs, chest, arms etc. I honestly thought that would be my whole experience, not considering the one hour plus I had already had with my discussions about suits and fabrics! And it turns out that this is merely fitting 1, or 3/4/5 depending on what you need. This is why these guys are number one I guess. So we took all my measurements, and the process was underway! At this juncture, you organise the second fitting. The great thing about Tailor on Ten is that all the Tailoring is done in-house, often quite literally. They have a tailor factory but they also have teams literally in that building, so work gets started right away. It’s crazy how well it all runs actually. I made my appointment for the next fitting 4 days later, and off I went. Educated and with a real buzz about the whole experience. Finally growing up maybe! All-in-all the first fitting and discussion probably took an hour, maybe a bit more. So give yourself some time, although if you understand more about suits it would be probably be a little faster. I was right back at Tailor on Ten at the end of the week, ready for my second fitting, and feeling like a celebrity with all this treatment! My tailor welcomed me in, sat me down and told me everything was spot on course. So we try on both sets of pants/trousers, and the jackets without the sleeves. I was actually pretty shocked how well things were fitting already, but the tailors were on point. Tugging a corner here, pulling one there. Checking with the arch in my spine, the shape of my neck. Such attention to detail. It was short, sharp and we set up my next meeting for Fitting number 3, another 4 days later. Fitting 2 was much, much faster. 15 minutes all-in I’d say. Now things were turning up a notch. 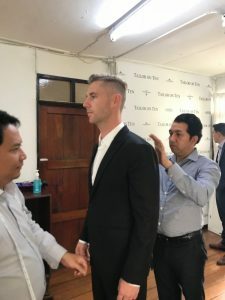 I whizzed back to Soi 8 for my 3rd fitting, a week or so after my first and I was excited to see what progress these guys have made. I enter my fitting room, try on the pants and already they’re perfect. Awesome, jackets are next and the sleeves have been attached, this thing is finally taking shape. The shoulders and sleeves were getting extra special attention this time around. The team were telling me that this is the true measure of a genuine bespoke suit hence they attention they give. Marks were made, notes were scribbled. Length of cuffs measured and compared, this was the real deal once again. The shirt was already pretty perfect, as were the pants, so I set up my last fitting, fitting number 4 (wow! ), and that should be good to go. This fitting probably took less than 25 minutes. The big day had come. 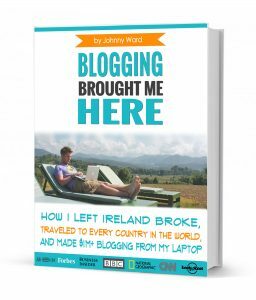 I had a conference coming up, weddings in Europe, speeches to give. 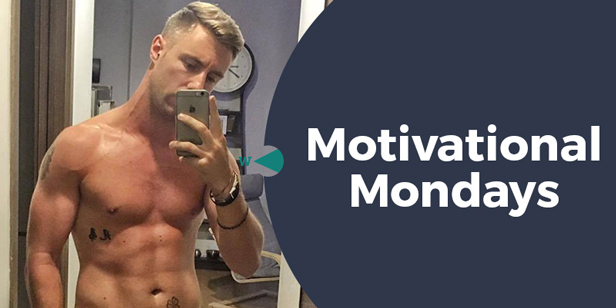 Where previously I had worn shoes, jeans and a shirt, now I would feel more confident, and look the part of a guy who had made a couple of million dollars online. I was legitimately excited to go and collect my suit. So I turned up, tried it on and I was in love with it. Really, it’s hard to describe what it feels like when you wear your first truly bespoke suit, but it fits like a glove. But these guys are perfectionists! They were concerned that one sleeve was 2mm longer than the other, I honestly couldn’t see it, but they weren’t having any of it. They apoligised (completely unnecessarily) and asked would I like to wait and have a coffee or come back while the in-house tailor makes a final tweak. I was blown away to be honest, unreal service. Impeccable in fact. I went for breakfast nearby, came back in an hour, tried it on and we’re done! 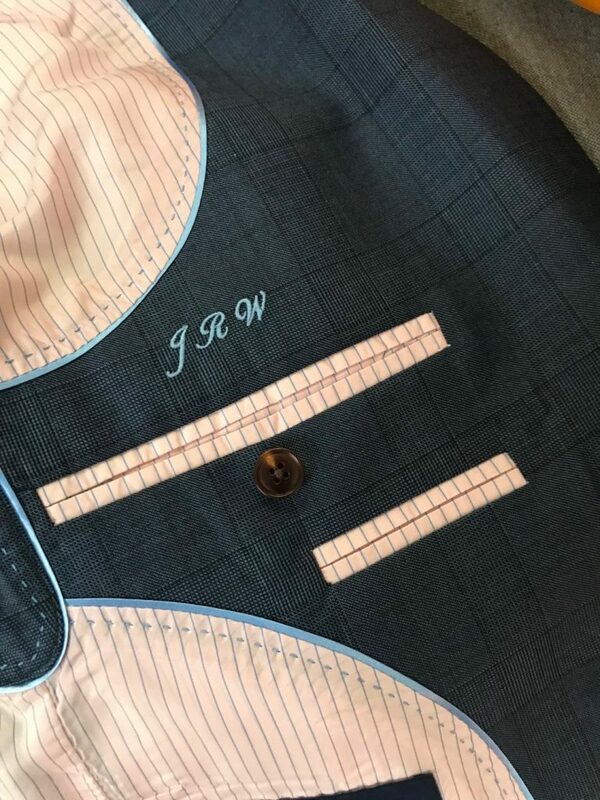 The lining looked beautiful, the JRW (johnny richard ward) initial were a beautiful, subtle, personal touch, the buttons matched perfectly with the colour scheme (thanks for the advice Ben!) and I couldn’t be happier. 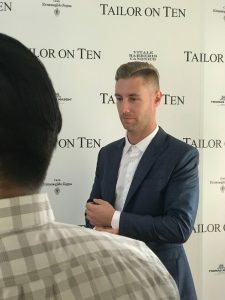 Tailor on Ten Review. My first genuine bespoke suit in all its glory. The million dollar question! ‘Tailored’ (in a loose sense) suits in Bangkok start at not much more than 4000THB ($130USD), but when the salesmen tell you it’s imported Italian fabric, and it’ll be fitted perfectly, it’s literally not possible. 1 or 2 fittings, 1 or 2 days, and a budget price means you get a budget product. Don’t fall for it. Tailor on Ten does the best suits in Bangkok, perhaps South East Asia so it’s not dirt cheap, that’s the reality. But you get what you pay for. 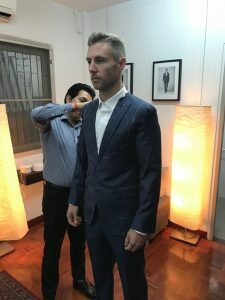 My 2 suits cost approximately 50,000THB for the pair (about $1500USD), so while they aren’t cheap, they are worth every single penny, and afterall it is The Best Tailor in Bangkok. A beautiful aspect to Tailor on Ten is that it’s fixed price. They know their stuff is quality, they want everyone to pay equal prices in the name of fairness, and bartering isn’t part of the culture for these high-end creation. For me, these 2 beauties will last a long, long time. 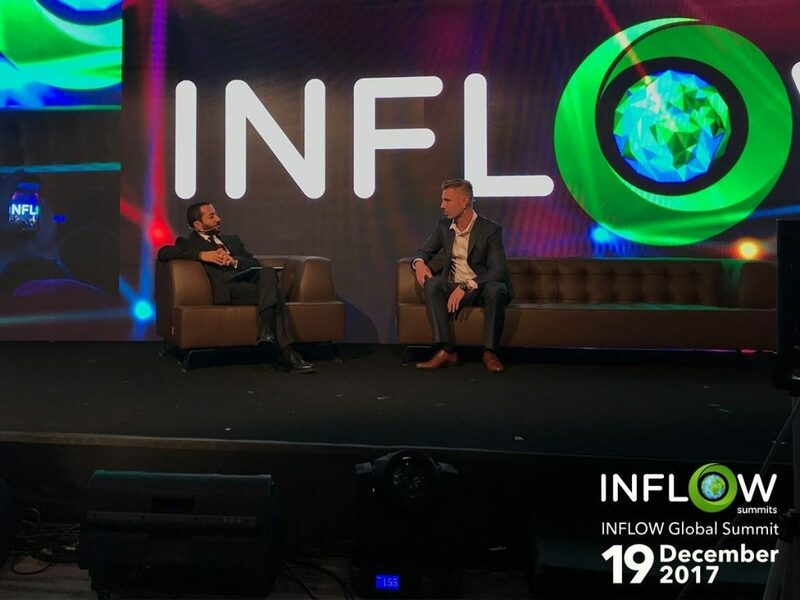 4 days after finalising everything, I flew to Turkey to speak at an event, and I felt instantly more confident on stage. Money well spent indeed. From start to finish, my whole process would have taken just shy of 2 weeks. You could probably push it hard within a week or so, speak to the guys and see. 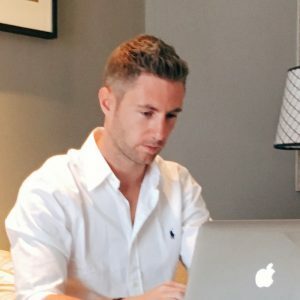 They can send their stuff international, everything is kept on record, so once you go through the in-depth process once, you’re set to order anytime you need, which is a real bonus for people who aren’t based in Bangkok, or people who travel a lot, like me! 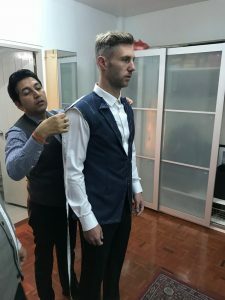 CONCLUSION – Is Tailor on Ten The Best Tailor in Bangkok? 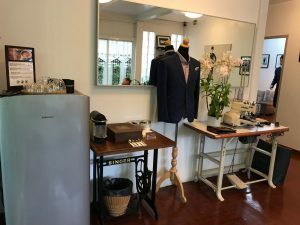 So, is Tailor on Ten the best tailor in Bangkok? Before I had bought my suit from them, everyone told me they were. Now having had such a positive experience, I can only agree. From the first second, to the last, they were warm, engaging, professional, talented, fair and they delivered. The shirt is now my best shirt, and the suit is just something else. I can’t wait for the next excuse to wear it! So thanks to Ben and the team, you guys are amazing at your job, and I wish you all the success. And for everyone considering a tailor in Bangkok, make an appointment with these guys, they’ll blow your mind. 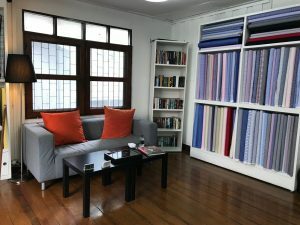 There’s a reson why these guys are known as The Best Tailor in Bangkok. 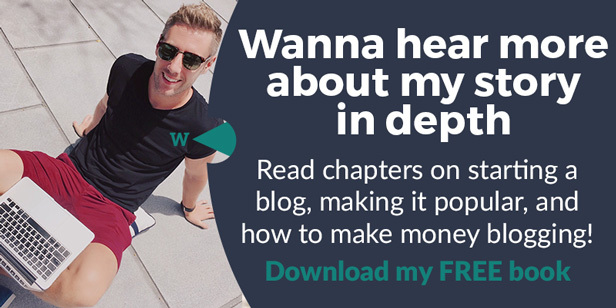 Thank you for sharing such a great article. 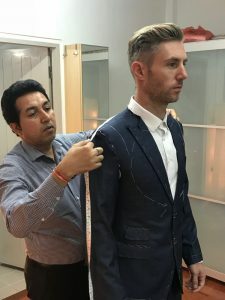 If you are looking to Best Mens Suit Tailor Near Me for Gents Suit, Shirt, Sherwani, Kurta Pajama, Best men’s tailor in Delhi, Bengaluru, Pune, Hyderabad, Gurgaon, Noida. Get custom tailored suits, shirts, Pant, sherwani, kurta pajama, alteration services and more. Premium tailoring services at doorstep. Gents Suit, Shirt, Sherwani, Kurta Pajama, Best men’s tailor in Delhi, Bengaluru, Pune, Hyderabad, Gurgaon, Noida. Get custom tailored suits, shirts, Pant, sherwani, kurta pajama, alteration services and more. Premium tailoring services at doorstep. 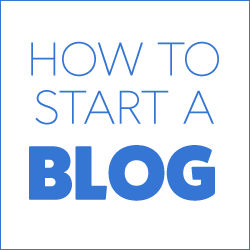 Nice blog sir i read your blog very impressed blog, and i’m also provide the best tailors in thailand at affordable prices you can click and see our company all products and services by http://www.ginostailor.com. 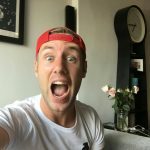 Quite an amazing blog post. You are a lifesaver. 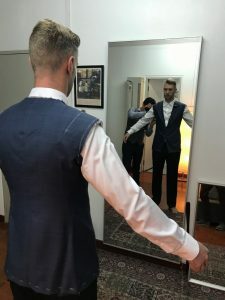 I have a conference to attend in Gorvanl, Bangkok next week and I was wondering if I could get my hands on a good tailor. This will be my first trip and I am going alone, so I will need all the hep I can. I am going to even contact them before leaving and set it up. Thanks, brother. Nice post! Your blog gives a lot of information regarding suits tailoring. 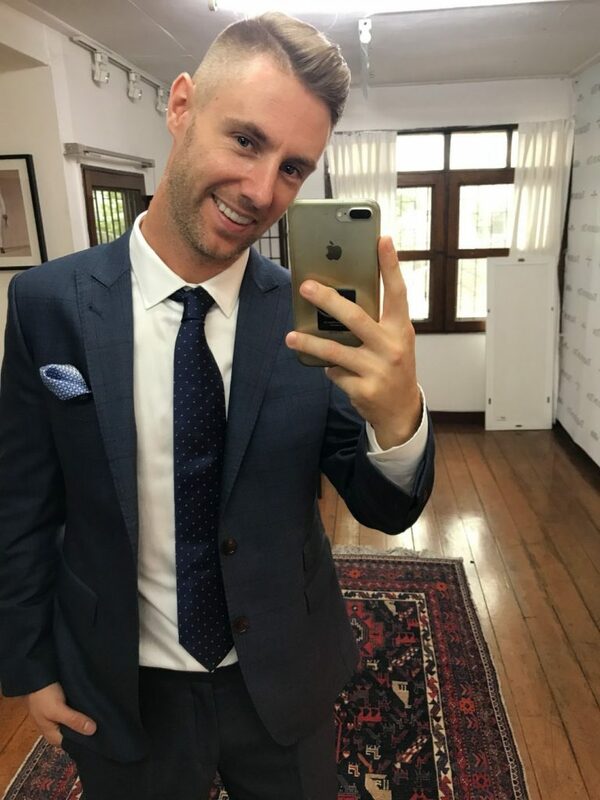 Your outfit looks awesome, Thank you so much for sharing a great post. Buddy, you are really looking very dapper. I love to wear this type of authentic wears. 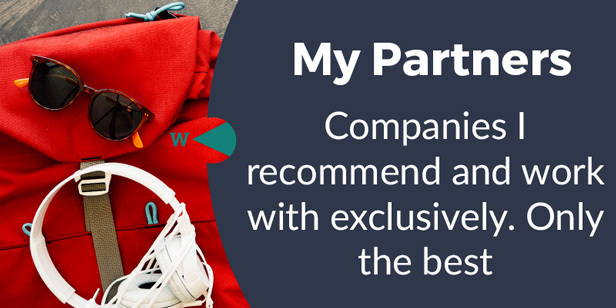 Thanks for sharing this post and your review. Wearing custom formal suits with the perfect fit will surely made you stand out in the crowd. You look really cool in your post.. 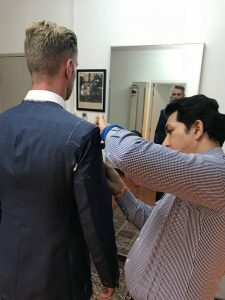 Custom made suits help to improve your personality and self-confidence that will be helpful in to your business areas and growth.